Hey everyone, today we’re going to be taking a look at 5 of the best trending Hugo Boss watches available right now. The list may only include 5 watches but I feel there’s still something there for everyone. 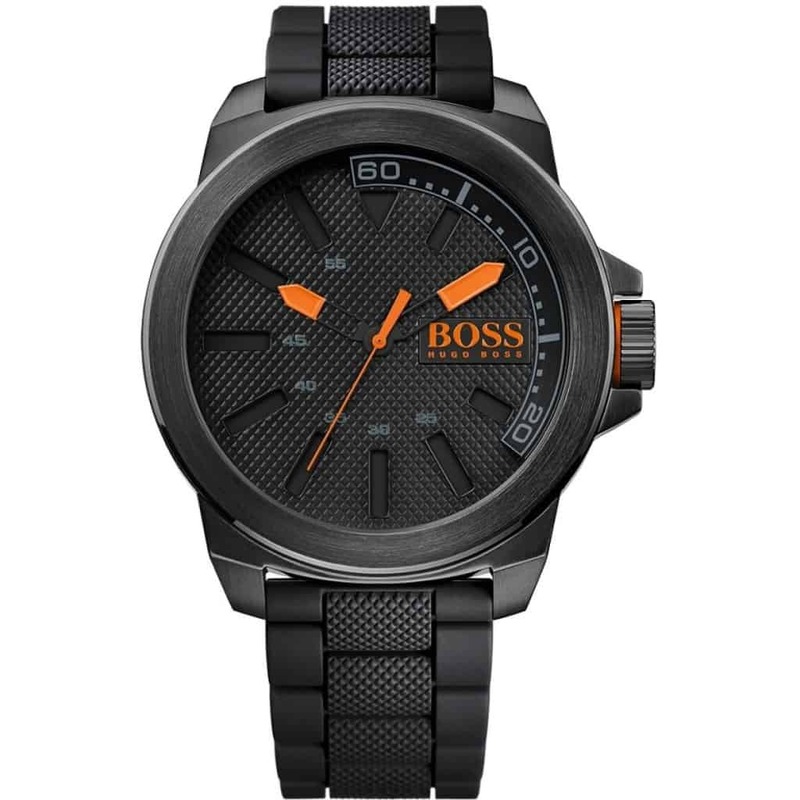 The Hugo Boss watch brand has a huge catalogue of stylish men and women’s watches available. They aim for modern elegance with a touch of class. These watches are great if you like to make a statement with your designer watches. They’re built of premium materials and are often very noticeable on your wrist with their larger timepieces. 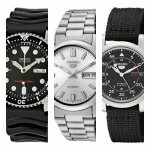 We like to keep our lists up to date so will reguarly switch new watches in and old watches out. As always, let us know your thoughts on your favourites in the comments section at the end. 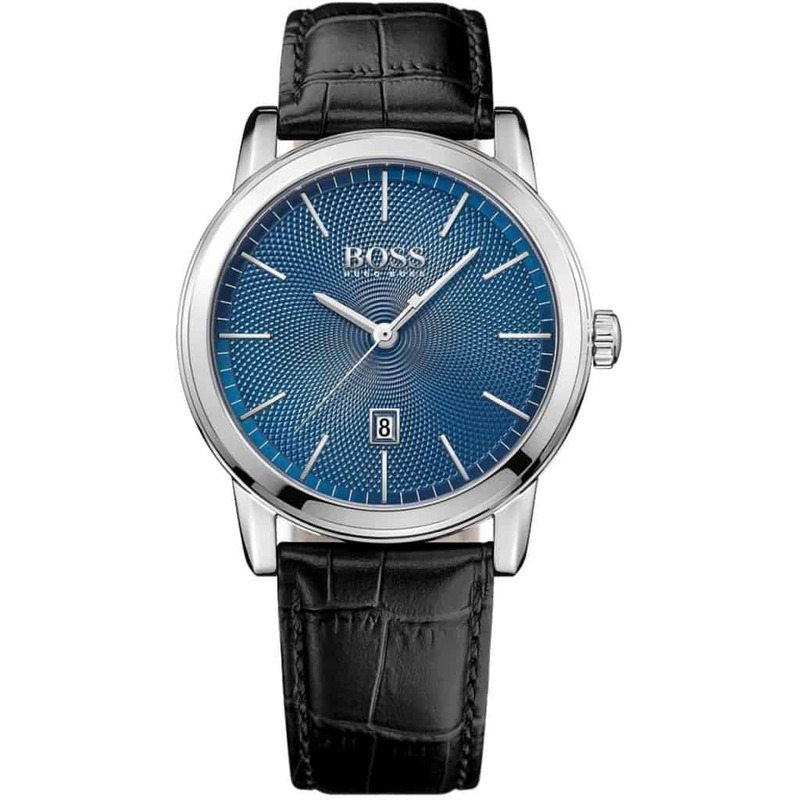 First up in our list of the top 5 popular Hugo Boss watches for men is the Hugo Boss 1513400. This is a stunning Hugo Boss watch with this amazing textured dial. It features silver-tone hands and hour markers as well as a small date display at the 6 o’clock position. The stainless steel casing has a diameter of 42mm with a thickness of 9mm. They’ve paired this up with a comfortable genuine leather strap that fastens with a buckle style clasp. 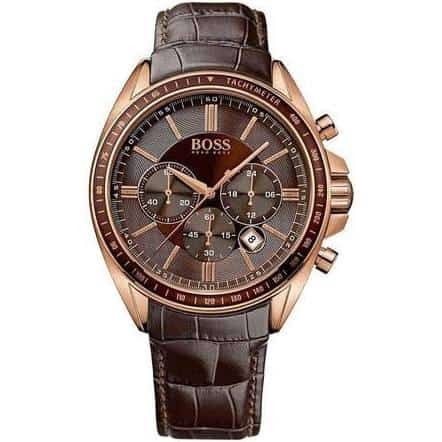 Powering this men’s Hugo Boss watch is a reliable and accurate quartz movement. The timepiece also features a mineral crystal glass lens and a water resistance rating of 30m. 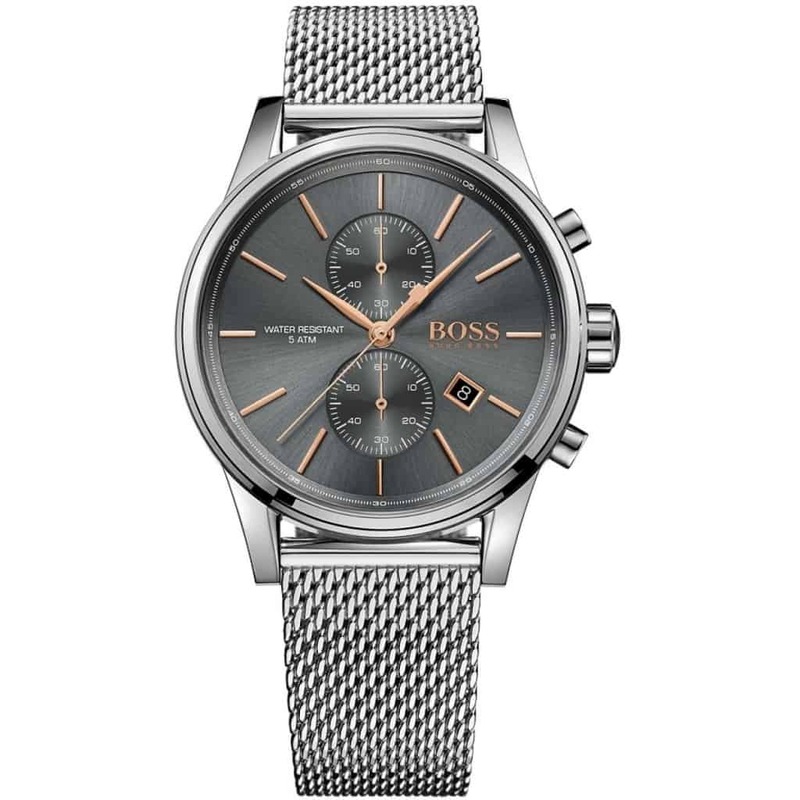 Next up in our list of the best Hugo Boss watches is this impressive oversized model with a stainless steel casing that has a diameter of 53mm! The thickness of this casing is 12mm. 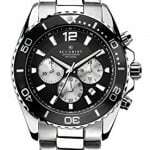 This type of large watch is perfect for people who want their timepiece noticed on their wrist. With a primarily all black design, the bold orange tipped hands stand out against the textured finish of the dial. Like the previous model, this Hugo Boss Orange watch features a mineral crystal glass lens, accurate quartz movement, and a 30m water resistance rating. In at number 3 we have this awesome Hugo Boss chronograph watch that’s built with a large 41mm stainless steel casing that has a thickness of 10mm. This happens to be one of my favourite style straps with the mesh design, it has a width of 20mm and fastens with a sliding style clasp. I personally find these comfortable and easy to adjust. The dial features rose gold coloured hands and hour markers which stand out beautifully against the grey dial. There are two chronograph subdials on display as well as a small date function which could come in useful. Powering this watch is a quartz style movement, a mineral crystal glass lens provides scratch and shatter resistance, and the timepiece has a decent 50m water resistance rating. 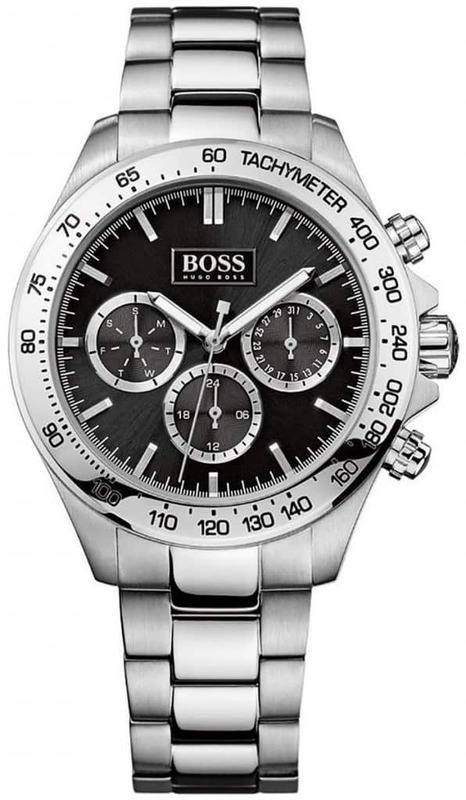 Here we have another popular Hugo Boss chronograph watch. This timepiece has a large stainless steel case with a diameter of 46mm and a thickness of 12mm. The strap itself is also made of stainless steel with a dual polished and brushed finish. It has a width of 22mm and fastens with a deployment style clasp. The bold bezel features a tachymeter display and is uni-directional. On the dial, we have silver tone hands and hour markers along with second numbering which all display very well against the black background. The three chronograph subdials display a minute, second and 24 hour time. They’ve used an accurate and reliable chronograph quartz movement to power this watch, a mineral crystal glass lens for the front of the dial, and it comes with a 100m water resistance rating. The final timepiece to feature in our list of the best Hugo Boss watches available right now is this awesome Hugo Boss chronograph 1513093. It’s built with a rose gold-tone stainless steel 43mm casing that has a thickness of 11.5mm. 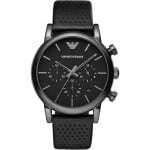 This has been paired up with a dark tan genuine leather strap that fastens with a buckle style clasp. The dial features some nice detailing with rose gold tone hands and hour markers along with three chronograph subdials and a small date function tucked between the 4 and 5 o’clock hour markers. At the heart of this Hugo Boss watch is a chronograph quartz movement for accurate and reliable timekeeping. The mineral crystal glass lens gives you a good level of both shatter and scratch resistance. This watch also comes with a 50m water resistance rating. As always, thanks for taking the time to read through today’s list of the best Hugo Boss watches for men. My personal favourite has to be the final model featured above. I’m a sucker for rose gold and dark tan so it’s perfect for me. Which was your favourite model, let us know in the comments section below.